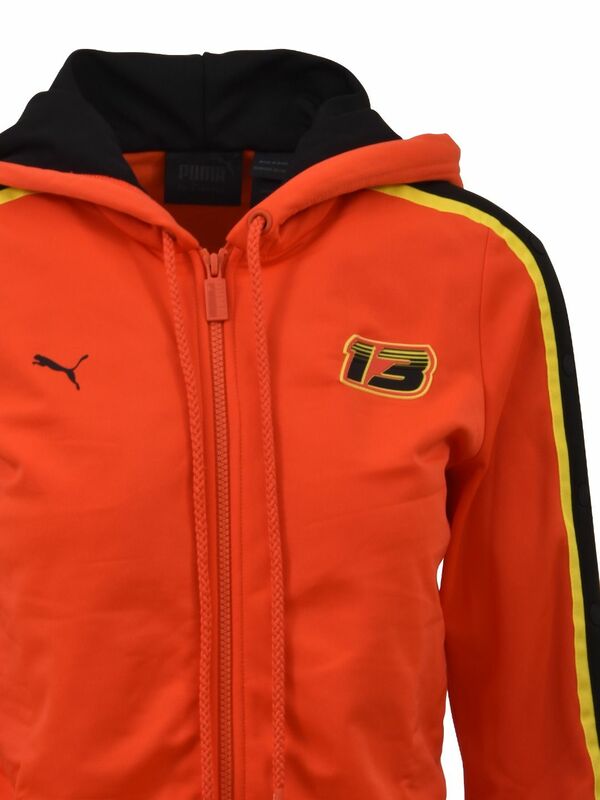 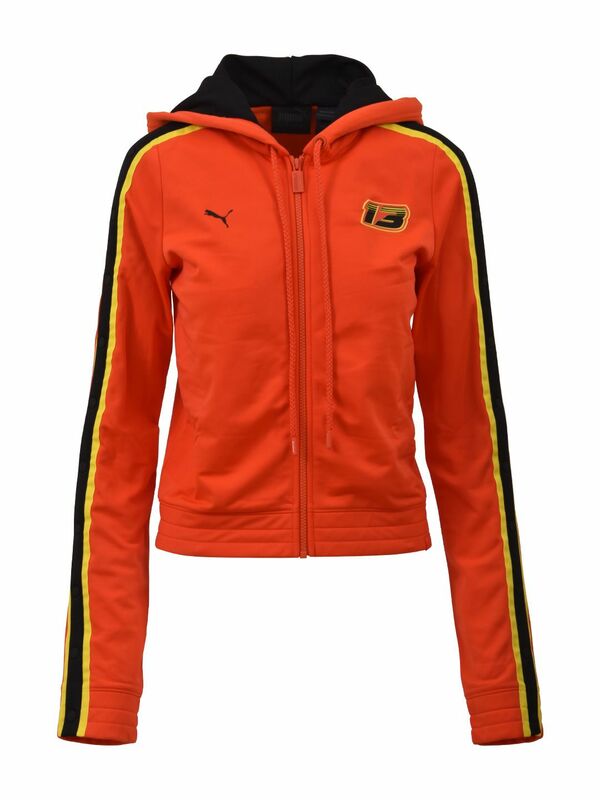 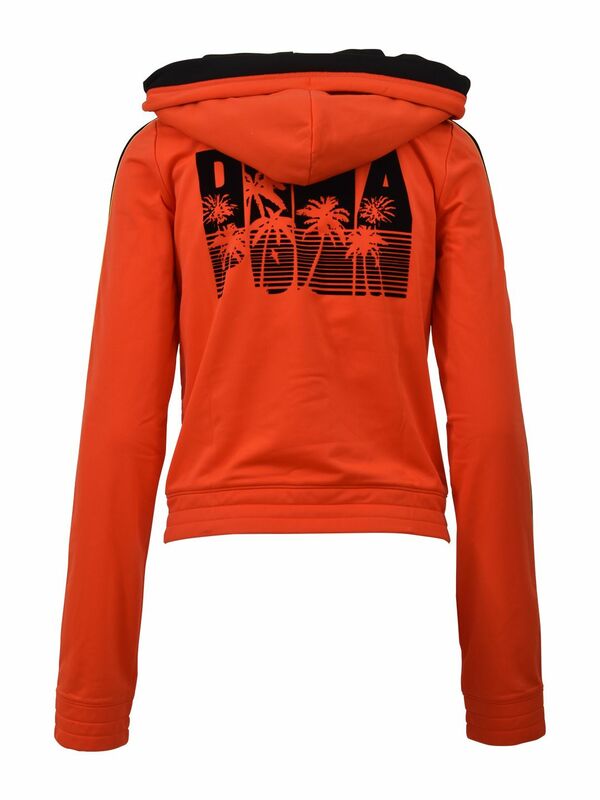 Fenty Puma by Rihanna hoodie in orange cotton with button tab along the sleeves, embellished with black and yellow trim. 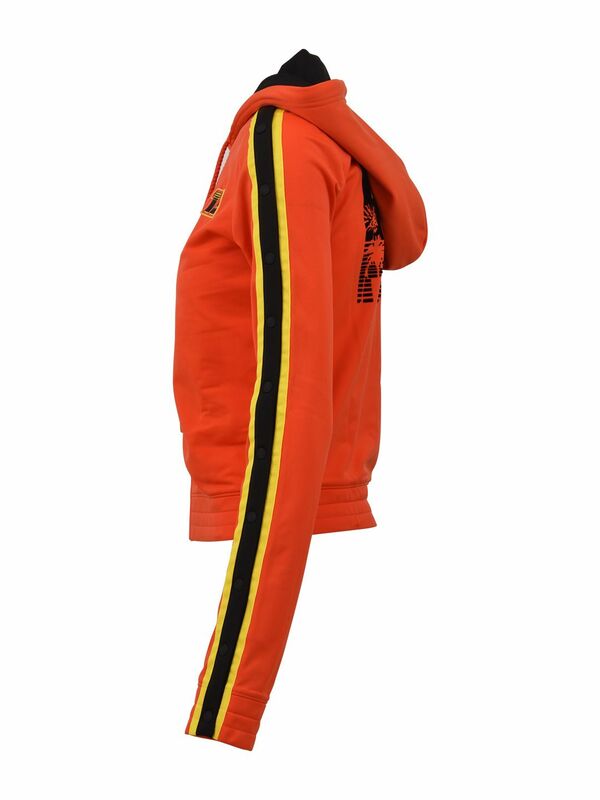 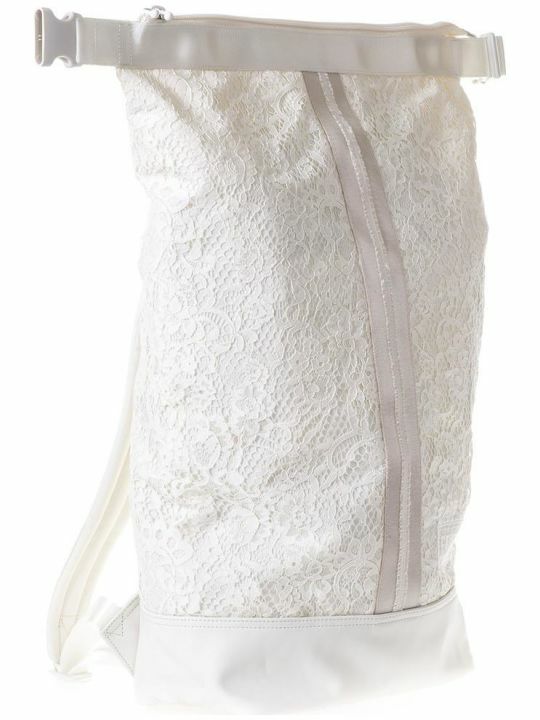 Zip fastening through front. 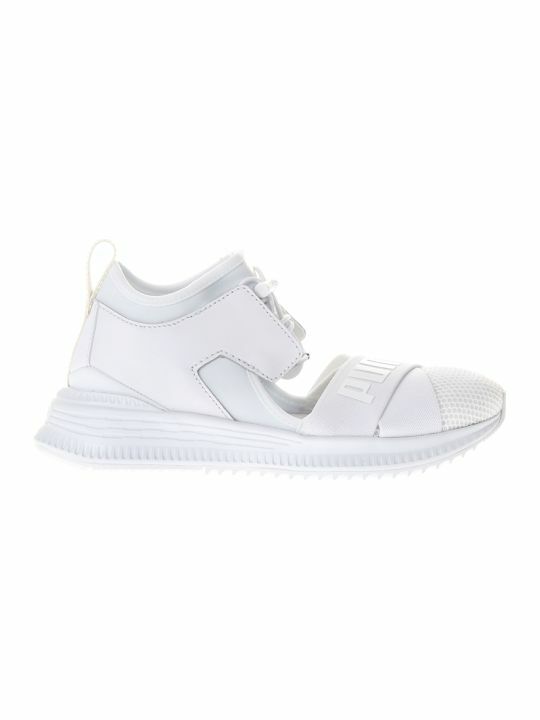 Elasticated edges.